Mike snuck the kids out to Disneyland for a special boy's night out, leaving me at home curled up with a good book in our quiet house. Happiness all around! The main difference between a day at Disneyland with Dad, and one with Mom? Dad allows (encourages!) 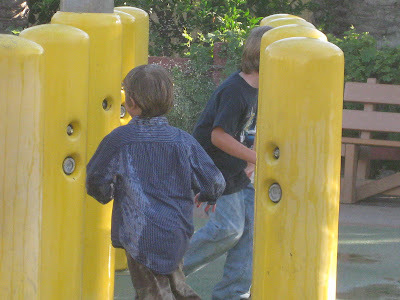 the kids to get wet! 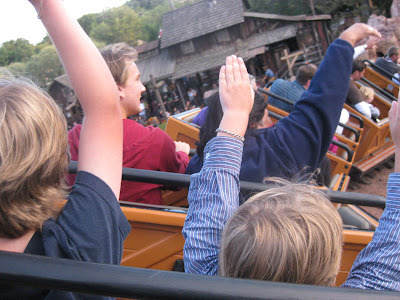 Hands held high in the air, the only way to ride Big Thunder Mountain Railroad! 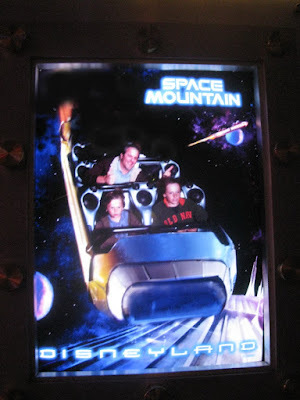 Isn't Space Mountain most fun when you get to ride in the front? Fearless space explorers Nathan and Ben sure think so!